Home / Reviews / Great Strong Coffee in a Single Pod! Realtree Timber Coffee! Great Strong Coffee in a Single Pod! Realtree Timber Coffee! I know when I first got my Keurig, I was not really happy with a lot of the coffee that was offered for them. Most were weak and just not that exciting. I was so glad to receive Realtree Timber coffee and have it change my mind about the single serve cup! I loved that this coffee will get you moving in the right direction for your morning! Timber is a medium roast coffee and it is so very smooth, there is not even a hint of bitterness and the flavor stays true throughout the cup. I loved that the smell of this brewing in the machine filled my whole house with the fantastic aroma of freshly roasted beans. It was an eye opener in my house for sure. Everyone wanted a cup of this coffee. The richness and velvety body of this coffee was surprising coming from a single use pod, I find that most don’t have the ability to awaken the senses the way this one did. I believe the biggest problem I am going to have with this coffee is the keeping it stocked in my pantry. Realtree Timber is unique and a perfect cup to have in the morning or even with a coffee break later in the afternoon. When you are looking for a coffee, it is hard to have to rely on others to let you know what you are getting and with this coffee it is pretty straight up, a great bold cup, with no bitterness or sweet flavors. If you are a go-getter and like your coffee a with some great flavor this is the coffee for you! Next post: Picky Eater Pasta with #BarillaPlus! I like sampling different coffee blends. I would love to try these. This sounds like it would be a smooth cup of coffee. I love smooth! A great one for my guys. The Realtree Timer Coffee single serve k-cups sound like a nice cup of medium roast coffee with no hint of bitterness. I love you can make a cup of coffee and not end up wasting half a pot when no one else wants coffee but you in the morning. I have not been able to drink strong coffee for a long time, my stomach will not allow it, do not use pods, no machine. I have never tasted coffee with cinnamon in it and it sounds wonderful. I really love that this coffee is not bitter. It would make a wonderful afternoon coffee. This sounds delicious! I’m not a hunter, but the rest of the family is. I will have to try this the next time I order K-Cups. I’m sure it’ll be a hit in our home! 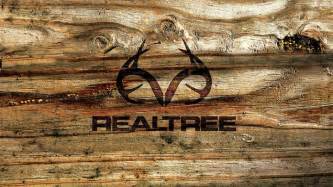 Realtree Coffee Giveaway ~ 10 Winners! ~ @FreeDealSteals ~ Reviews & Giveaways!